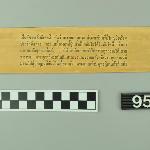 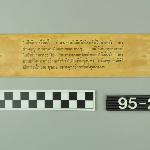 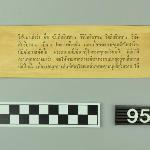 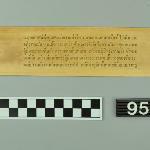 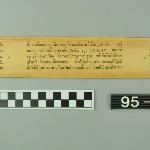 Ninth page to text of palm leaf manuscript of the Mahaparanirvana Sutra in Thai script and Pali. 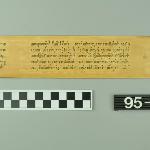 Far left hand side has abbreviated title and page number written sideways to text. 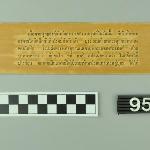 Both sides have three columns of text. 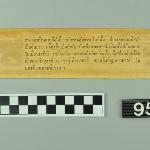 Two holes at center between columns of text.